So when Viscountess Bostwick informs her of the position, Daisy immediately pays a call on the new owner of Warwick's to apply. Poor Teddy Streater has no idea what he's in for when he hires the ex-spy to run the finishing school. He would prefer to court the comely lady who seems prim and proper, but what woman wants to marry a man with only one arm? Perhaps he should be in search of a mistress. Trouble is, he can only imagine Miss Albright in the role in The Conundrum of a Clerk. It took me a bit of time to get into this book as I wasn’t sure whether I was reading a comedy or a tragedy. Once I chose to view the book as a comedy, I actually did find it enjoyable. Theodore and Daisy are both wounded warriors finding their way in society once again after the war was over. They had scars and were living with the aftermath of their war experiences. The story did jump around a bit for me, as characters from previous books were drawn into this one. The love stories of other characters were also included. Nevertheless this is a well written, gentle romance and it has a happy conclusion. I received this book for free from eBook Discovery. I voluntarily post this review. This is my honest review. A one armed bank clerk , and a gun shot female spy. What could be a better duo? Teddy falls heir to a Girls finishing school when his mother dies. His best friend's wife, Elizabeth Bennett-Jones has a charity for finding work for those who have been injured in the war and cannot find work. Teddy was her first client and she got him his job at the bank, which he had before the war, but the bank was not going to hire him back, now that he had only one arm. He implores Elizabeth to help him to find a head mistress for the school... Enter Daisy Albright, ex spy and oldest illegitimate daughter of the Duke of Ariley . Teddy is a widower, and its been a long time since he had a woman in his bed, Daisy had to be a mistress in one of her spy operations....sparks fly between these two characters, will they, ? or won't they ? You will have to read this delightful story to find out. Teddy has lost much of his self esteem from his war injury, and Daisy is an independent woman who has to come to terms with her father , who loves her , acknowledges her, and wants to help.. Characters from previous books shared scenes in this one, so I would suggest reading the first 2 books of the series. There is some heat in this book, but it is very well done . 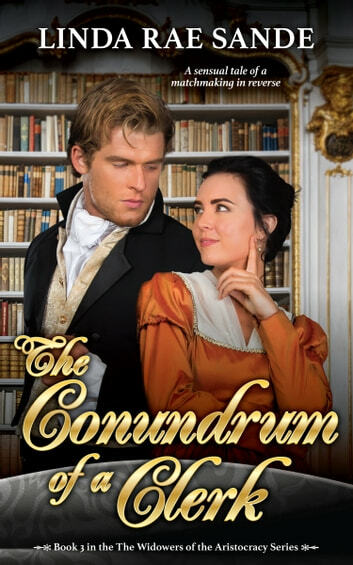 I would recommend this book, I loved all the characters, especially the Duke and his wife.